The Hayden Station stands out in the landscape between Hayden and Steamboat Springs in Northwest Colorado. 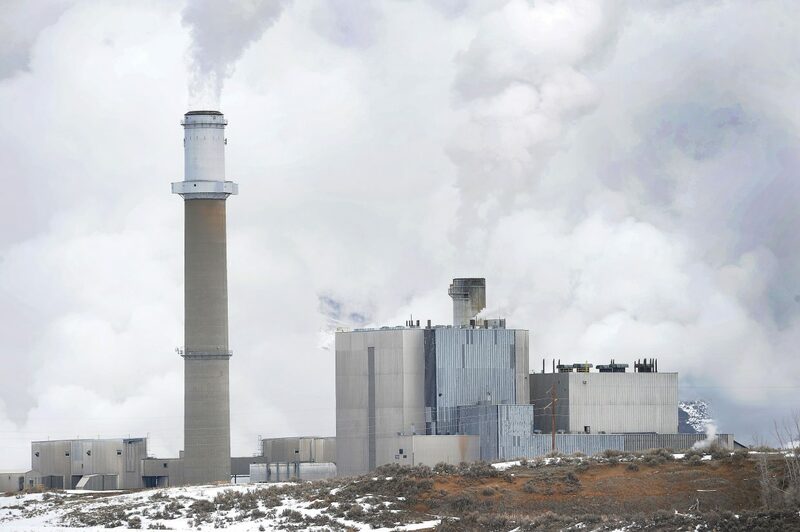 Steamboat Springs — The Hayden Station coal-fired power plant is getting $160 million worth of emissions-reducing upgrades as part of a larger $1 billion push by Xcel Energy. Colorado’s Clean Air Clean Jobs Act, which was signed into law in 2010, led to a plan to reduce emissions from coal power plants, including retiring plants, converting some to natural gas and installing emissions controls on others. Hayden Station has two units — Hayden 1 generates 184 megawatts and Hayden 2 generates 262 megawatts — and each will have selective catalytic reduction equipment from Hitachi Power Systems of America installed. A megawatt-hour can provide electricity for about 750 houses for an hour. Pierce said the power plant already has low NOx burners, scrubbers for certain gases and baghouses, which are like large vacuum cleaners for the air to eliminate particulate matter. With the SCRs and the existing equipment, emissions will be reduced by about 90 percent, according to Pierce. The generating units at Hayden Station use low-sulfur coal from nearby Twentymile Mine and will have some of the lowest air emissions in the nation after the project is complete, according to Xcel spokesman Mark Stutz. In addition to being part of the Clean Air Clean Jobs Act, Hayden Station’s upgrades also play into the U.S. Environmental Protection Agency’s plans for enforcing the federal Clean Air Act and reducing regional haze, Stutz said. “It really has a large benefit,” he added. TIC is the main contractor in charge of the project and hiring. About 50 workers already are on site, Pierce said, and peak manpower will be about 150. TIC committed to hiring as many Colorado residents as possible, he said. The SCR units will top out at about 185 feet and will fit between the boilers and the stacks. Construction will continue on the structures to hold the units while the plant continues to operate. The SCR unit on Unit 1 at the plant will go into service in late 2015, and the second unit will go into service a year later. “We’ll do all of the construction then we have a short, eight-week outage in 2015 and 2016 to tie into the existing system,” Pierce said. These are planned outages that typically are done during lower-demand periods, Stutz said. The first unit at Hayden Station was built in 1965 and the second in 1976, he said, adding that Xcel operates the units but has partners in their ownership.